Cristiano Zazzara is Managing Director, Global Head of Credit Analytics and EMEA Head of Risk Solutions, in charge of a business line focused on the commercialization of a suite of statistical and judgmental credit models for public and private companies. He also serves as an Executive sponsor of the group’s Sustainable Finance (Environmental, Social and Governance) business, which cut across our four divisions: S&P Ratings, S&P Down Jones Indices, S&P Global Market Intelligence and S&P Platts. He is an expert in financial risk management with over 20 years’ experience at banks, government agencies, service providers, universities and think tanks. He joined from MSCI-RiskMetrics where he was the Head of Market, Credit, Counterparty Risk and OTC Clearing Business for the EMEA Banking sector, and Global Head of Credit Advisory Business for Buy-side and Sell-Side Institutions. Previously, he was Managing Director in the Research & Strategy Unit of Unicredit Group, Managing Director and Head of the Internal Rating Unit at Capitalia Banking Group, and General Manager of the Italian Association of Banking and Finance (ASSONEBB). Dr Zazzara also served as a financial economist at the Fondo Interbancario di Tutela dei Depositi (the Italian equivalent of the US FDIC), where he was the Head of the Research Department. Dr Zazzara has written books with McGraw-Hill and is well published in various journals of financial economics, such as Journal of Credit Risk, Review of Financial Economics, Journal of Banking Regulation, Journal of Financial Services Research, Journal of Financial Stability, Research in Banking and Finance. 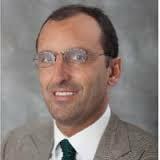 He is also an Aspen Institute Scholar of the Aspen Institute Italia. At the end of 2007, he was awarded the Santa Margherita Ligure per l’Economia prize for the best paper in economics for his research titled “Monetary Policy and Financial Stability: What Role for the Future Markets?” which was published in the Journal of Financial Stability.